"When I clothe myself with Jesus, he leaves me room to grow — which is a good thing because, God knows, I'm still growing. I put on Jesus as I would a new and ill-fitting outfit — in order that someday it might fit and be a fitting expression of who I have become." 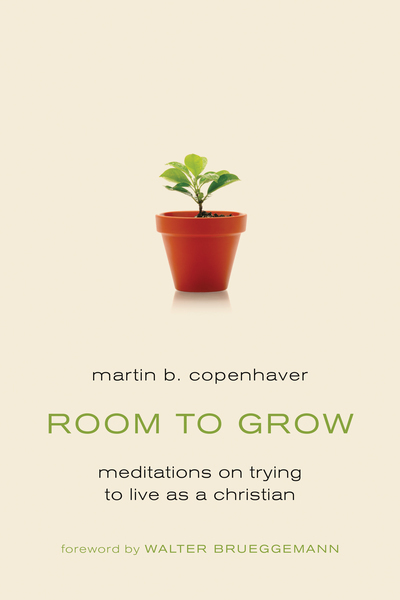 In this volume of rich pastoral meditations, Martin Copenhaver offers rare insight into the myriad ways we try to live the Christian life, showing us that there is indeed "room to grow" in Christ and into the Christian faith. Moving seamlessly from the gently humorous to the thoughtfully serious, these reflections will renew and inspire Christians in their daily walk.